N E S T | T O G E T H E R is a collaborative nesting space to hold and hatch ideas. 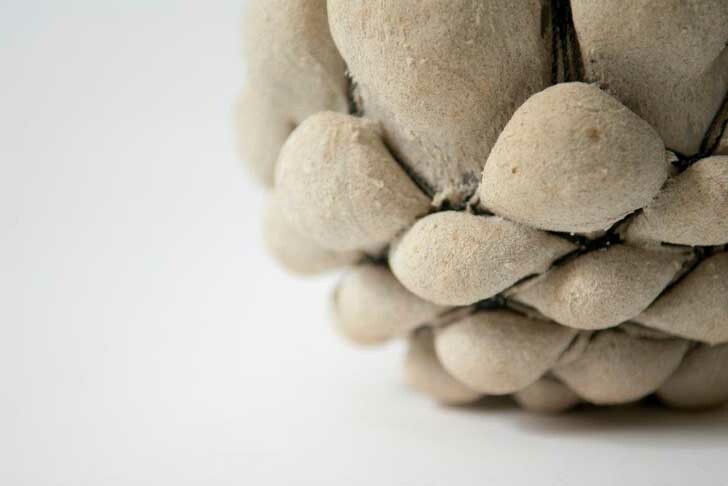 Increasingly lately, I've been looking for an object to suit our home that transcends traditional ceramic forms, teeters on sculpture, but remains practical; KNOTTED by Judith van den Boom and Sharon Geschiere seems to do just that. 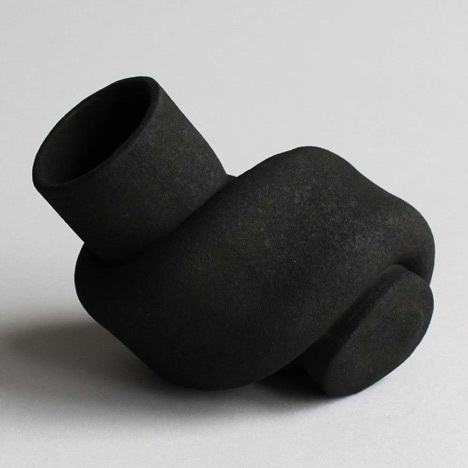 Derived from the fluid form of knotted rubber tubing, these porcelain vases are of limited edition and completely waterproof. I'm not entirely certain where my love of ceramics began, or in fact where it might end for that matter. It is, as the title of this post suggests, a curious obsession. What got me thinking about such was a gift we received from an old friend this week. I'd not seen her for a few years, she had not yet seen our home, yet she bought us a vase, made by hand and so wonderfully imperfect. If I'm telling the truth, it was not even glazed thoroughly, so no water can ever see the inside of this vase, thus...so wonderfully impractically imperfect. And to date, one of my favourite gifts I've ever received. So, perhaps my curiosity began with the purchasing of our own home and the subsequent (somewhat endless) trawling of the internet for interior inspiration? My foray into the world of Pinterest even, where the decorative object reigns supreme? 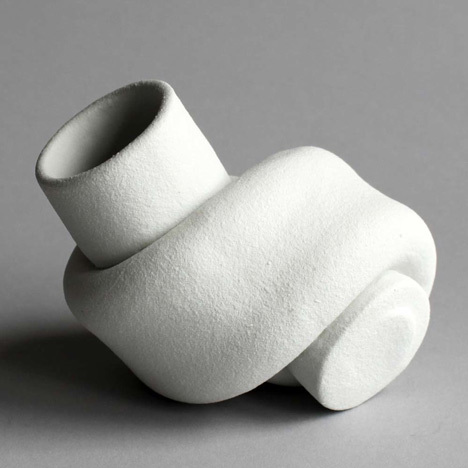 Or perhaps in the ever-so-popular return to the maker as master, pushing me gently in the direction of the ceramic object. As I began to collect, I started where my funds would let me, in the back of the thrift store. I learned quickly to choose items that were made only by hand, not without flaws, full of character and usually bearing the maker's shaky mark. Now, every-so-often, when I can, I attempt to buy a new ceramic piece directly from the maker. Truth be told, there are so many excruciatingly talented ceramicists out there, sometimes it's a little overwhelming and I don't even know where to begin. My obsession extended so far, that I even tried my hand at a pottery course, which was both educational and therapeutic. But a ceramicist, I am not. For now, here are a few of the pieces I currently desire. If I had it my way, they'd all be mine.